DESPITE work about to start on the footpath and road upgrade in Coppin Road, Sorrento, the gulf between those wanting it and those opposed is as wide as ever. Geoff Allen says the project was “ill-conceived, poorly planned and administered, and a significant waste of ratepayers’ money”, while Cr Hugh Fraser says it will “benefit residents, businesses and visitors; the Sorrento community is looking forward to seeing [it] come to fruition”. Works will start on the up-scaled $900,000 project next month, after almost four years of claim and counter claim. It will take four months to complete. Money has come through the council’s capital works program ($280,000) and the federal government’s ($450,000). Some property owners have each been charged $450 a metre through a special charge scheme raising $170,000. The scope of the works has ballooned with the shire’s project delivery manager Derek Rotter saying early plans had the path crossing Coppin Road to avoid a steep embankment. After residents expressed safety concerns more money was allocated to keep the path on the same side of Coppin Road its entire length. This involved building large retaining walls and implementing changes to the kerb and road alignment. Property owners raised more red flags over a narrow section servicing buses, as well as potential speeding traffic. “To address these concerns the project’s scope was again increased to widen the road and install raised platforms for traffic calming,” Mr Rotter said. 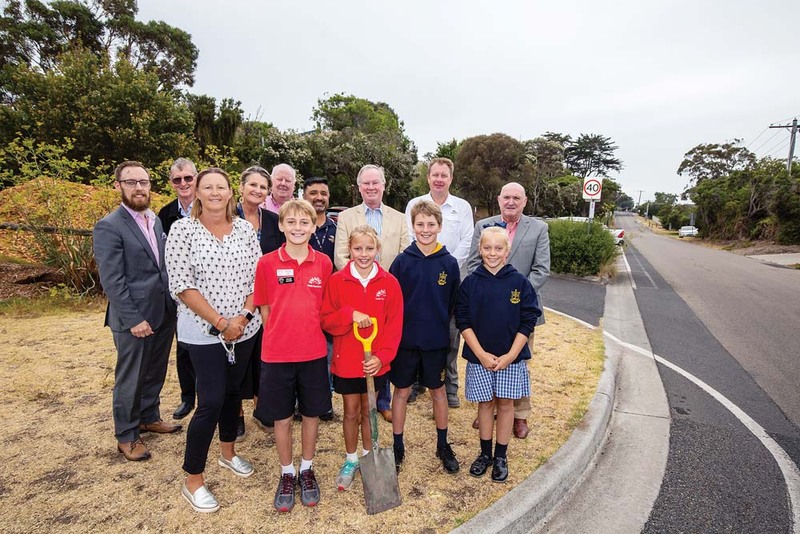 The new footpath will link Melbourne Road, Kerferd Avenue, Constitution Hill and Point Nepean roads to “provide safer pedestrian access for residents and two primary schools, church, several bus stops, shops, cafes and the beach”. It completes several footpath loops that end on Coppin Road or Point Nepean Road. Coppin Road’s Bill Holmes said property owners had “fought vainly to stop the shire building the unwanted footpath for almost four years”. “Construction is due to start in March and the tender accepted by the council in December was more than $586,000 higher than the original estimate,” he said (“Footpath costs” Letters 30/1/19). Mr Holmes is being asked to cough up $4400 as his share of the costs. Mt Eliza resident Geoff Allen – who has property in Coppin Road – described the cost blow-out from $370,000 to almost $1 million as “extraordinary”. He said it was made worse by the fact that the footpath was opposed by almost 90 per cent of the affected residents. “This is a scheme that involved no genuine resident consultation or survey,” he said, comparing decision-making processes within council to scenes from the Yes, Minister television series. “Administrative bungles were evident throughout. What finally went to tender bears little resemblance to the original scheme. The distribution of costs between residents is contrary to the original council decision,” Mr Allen said. Erica Bryan, of Sorrento, is looking forward to work starting. “I walk up this road almost every day with my small dog and it has been a nightmare,” she said. “Ensuring local roads and pedestrian paths are maintained to a high standard is an important shire function,” Cr Fraser said.